SeniorsAloud: SERIOUSLY, LUNCH NEAR KLCC FOR ONLY RM5?!! SERIOUSLY, LUNCH NEAR KLCC FOR ONLY RM5?!! 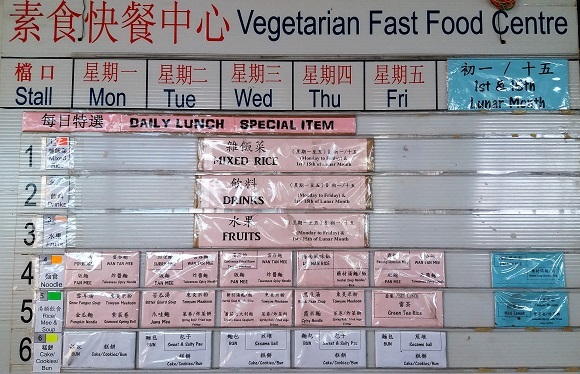 Seven years ago, I had one of the best Chinese vegetarian meals ever in terms of value: good taste, low prices and rich variety. I had blogged about it then as one of the staff volunteers there asked me to help publicize the food court. Today the blog article popped up among my Facebook Memories. A good reminder that I should post an update for those who have yet to drop by for a meal. This place has been around for decades. Yet many of my friends have not heard of it. A vegetarian's food paradise! I gave up counting the number of dishes after 40. Strictly no meat, eggs, garlic or onion. A feast for the eyes and stomach, but only if you are a vegetarian. The longest queue is for the mixed dishes with rice. All this for only RM8 in 2011 when this photo was taken. Prices have gone up but still low compared to other food outlets in the area. The daily menu at a glance. The temple marks festival days on the Chinese calendar with free meals but donations are welcome. The scene at 12pm. Difficult to find a seat unless you are alone. Besides locals, expats and backpackers eat here too. Diners have to clear their own plates after eating. The staff here are all volunteers. 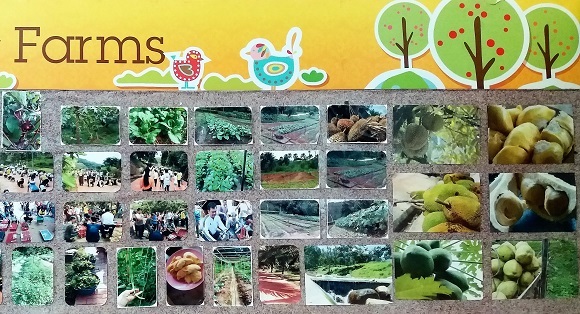 All the vegetables and fruits are organically grown on the temple's farm. 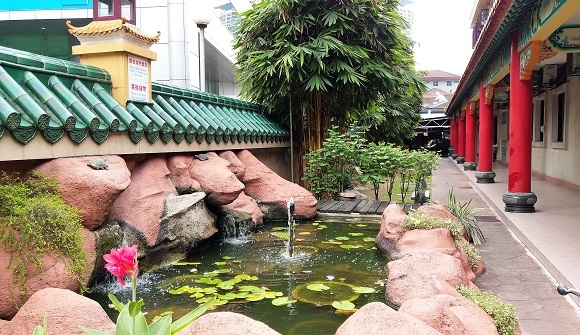 Once you enter the temple premises, it's a short pleasant walk past a rock garden with a lotus pond and mini-waterfalls to the food centre at the end of the corridor. From the outside: This ornate temple, opposite Corus Hotel and a stone's throw from KLCC, hides a bustling food court waiting to be discovered by those in search of a satisfying vegetarian meal. 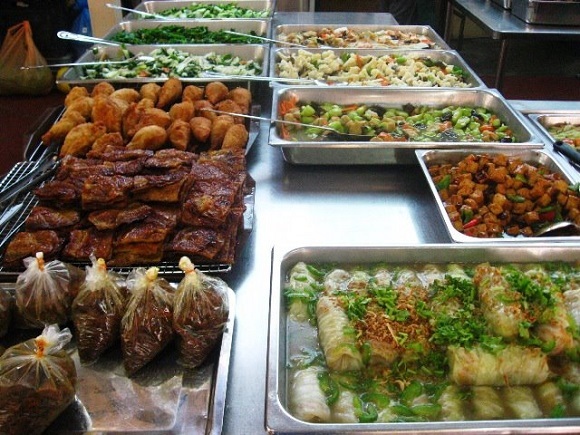 Besides rice dishes, there are stalls selling noodles, salad, fruits, buns and drinks. When in season there are durians for sale. Everything comes from the temple's organic farm. I have lunch there whenever I am in the vicinity (which is often!) and tapau (take away) for dinner. The two meals usually cost less than Rm10. If I am early enough, I get free soup and fruit dessert. Parking is a problem. You can take the lrt to KLCC and walk there, or take any bus that goes to KLCC. Get off at Corus Hotel and walk across the overhead bridge. So now you know where to go for your next organic vegetarian meal, do spread the word.